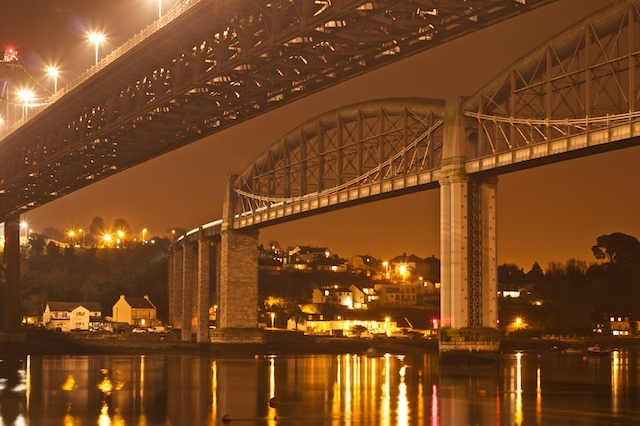 The Royal Albert Bridge, which crosses the River Tamar between Devon and Cornwall, is to have a major overhaul. The rail bridge designed by Isambard Kingdom Brunel will be blast-cleaned, strengthened and completely re-painted. As part of the work, research is being carried out on the existing 30 coats of paint to uncover the original colour of the bridge. Network Rail said the bridge was first repainted grey in 1911 and its original colour was never recorded. As soon as the design work is completed, work is expected to begin on site by summer 2010. This design process will finalise how the renewal and restoration work should be carried out in the next two years.